Startup Iceland - Building a vibrant, sustainable and antifragile entrepreneurial ecosystem in Iceland - Startup Reykjavik 2012 – Done! Startup Reykjavik 2012 – Done! I was so pleased to see the participation of the investor community in the Investor Day of Startup Reykjavik 2012. It was a fantastic pitch day, all the teams did a great job… it showed how well they had prepared, their message was powerful and there was passion in their presentations. I am also biased because I was one of the mentors and supporter of the initiative, but that should not take anything away from the teams. The organizers Innovit, Klak and Arion Bank really were committed and it showed. I was very proud in the after party to see everyone enjoying themselves… the community came together. A couple of them were suggesting that I should be the first marathoner to run Reykjavik Marathon hung over! I passed on that fabulous and probably painful idea. Now that the program is done, the teams have been having meetings with the investor community. I am eager to see how the local investor community steps up to the challenge. 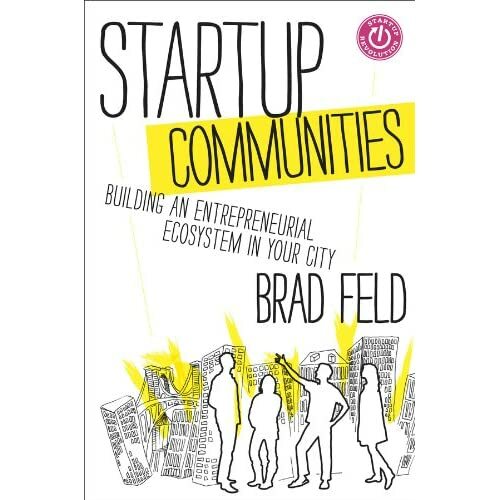 It is quite interesting that I am reading Brad Feld‘s Startup Communities book right now and he categorizes the Investors community as Feeders in the Startup Ecosystem. At the early stage, raising money is hard, figuring out which deals are good is hard, and everything else associated with getting a company up and running is hard, so what’s the big deal? Rather than struggle with this, investors should recognize that they are feeders into the startup community, play a long-term game, and work hard to help support the development of their startup communities. So I am going to start lobbying with the investor community to take the plunge just like all the entrepreneurs did, write checks without expecting anything back and see how this turns out. I am confident that this will transform the entrepreneurial ecosystem in Iceland. We are starting to implement the strategies outlined in the book by Brad. We did Startup Iceland a conference focused on Entrepreneurship and Startups, I am committed to make this a yearly event. We have Startup Reykjavik, which is a mentorship driven accelerator program to build new companies. We also have regular Hackathons which was initiated in Startup Iceland and in October we will have Music HackDay. I have reached out to the Reykjavik University and they are very motivated to support more Hackathons. Another weekly event that I would like to initiate is Entrepreneurship Book Club, we discussed the Lean Startup book at the beginning of the year and I want to continue on that tradition to start another book discussion. I believe if we consistently do this with a long term vision in mind we will create an ecosystem that thrives on itself. It takes commitment, vision and participation from all the stakeholders. There are many strategies that I have listed here, each could be a blog post. I would encourage everyone interested in building an sustainable startup ecosystem in Iceland to read the book Startup Communities, as Brad covers the story of Startup Iceland and he was generous enough to allow me to write a couple of pages in the book. Here I leave you with the video of Startup Reykjavik Year 1. I was really happy with the high quality of teams and presentations from the Startup Reykjavik project. Now we will see if the investors will step up and take it to the next level. Well, we all need to lobby with the investor community. I plan to do that… I really believe that the investor community needs to take a leap of faith just like the entrepreneurs have.